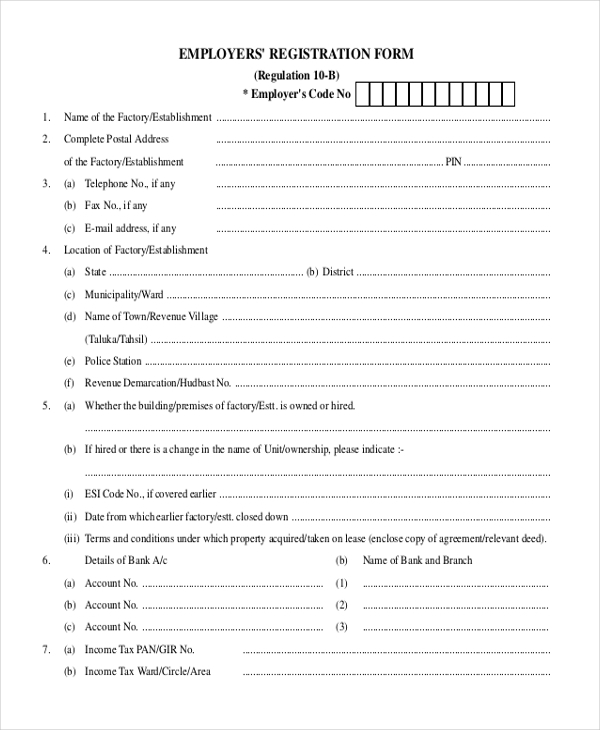 Registration forms are used to collect application details of different people for different reasons. A common example is the website forms, which are used to collect account registration information from different people. About 94% of websites on the internet have some kind of forms. There are also paper forms. These Registration Forms you download free with a click of a mouse and then use accordingly. 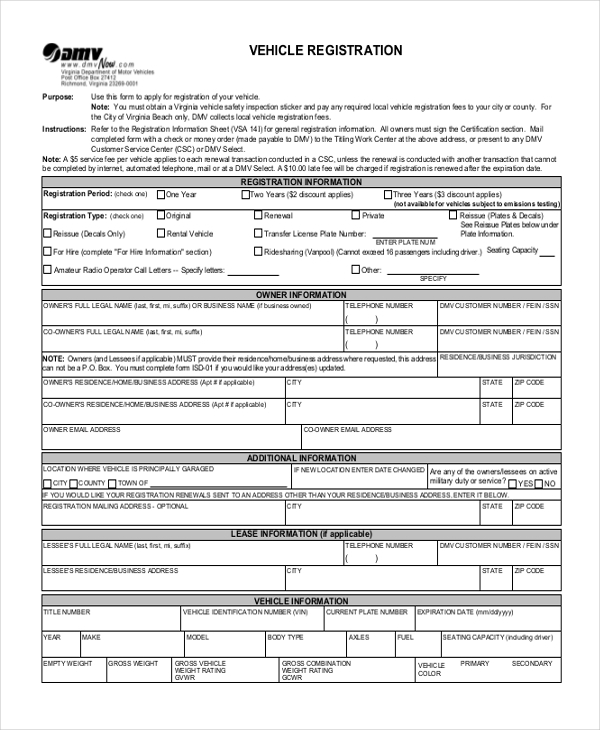 Here are a few, high-quality downloadable forms that you can get free. Elections happen everywhere every time. We see them conducted in companies and hear about them in schools. 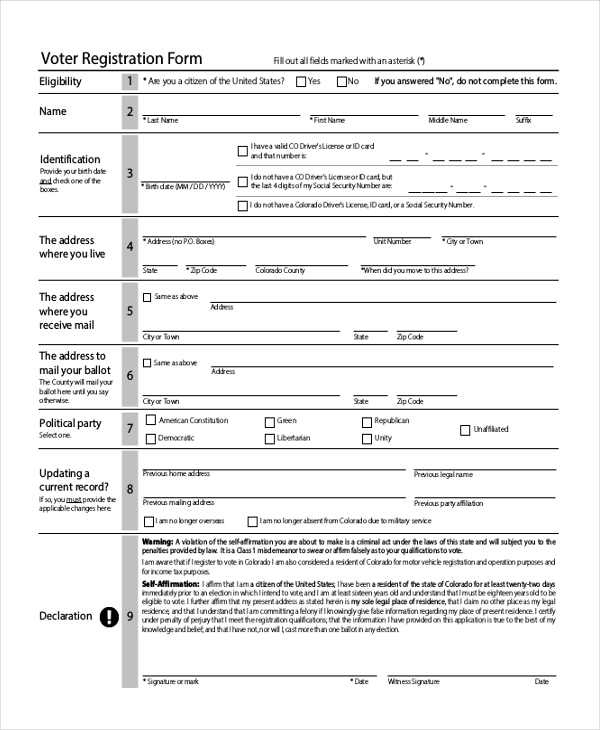 Here is a form you can use to collect all the important information about each voter. So you have a product that you would like to register and get a trademark for! 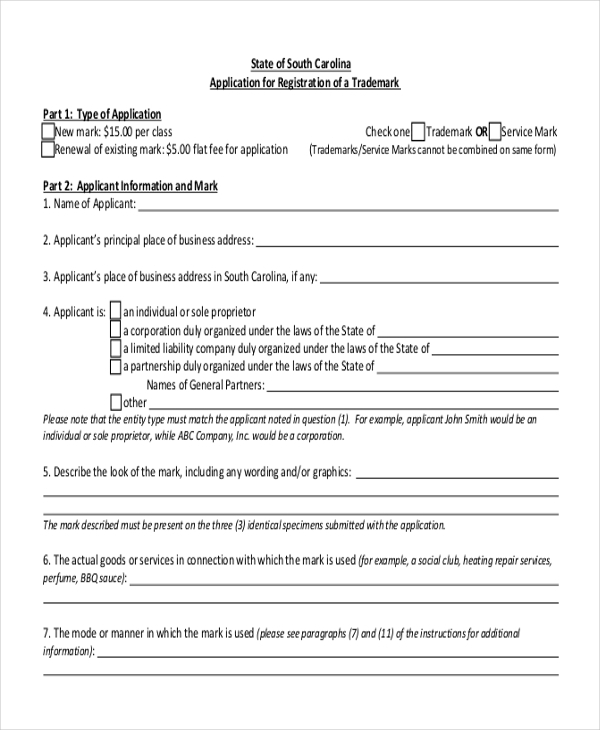 You can use this form to fill out your details and submit it to the Trademark authority for review and approvals. There are no limits to where you can use this form. All you have to do is to download it for free, and then use it for whatever kind of registration information that you like. The form is print-ready. 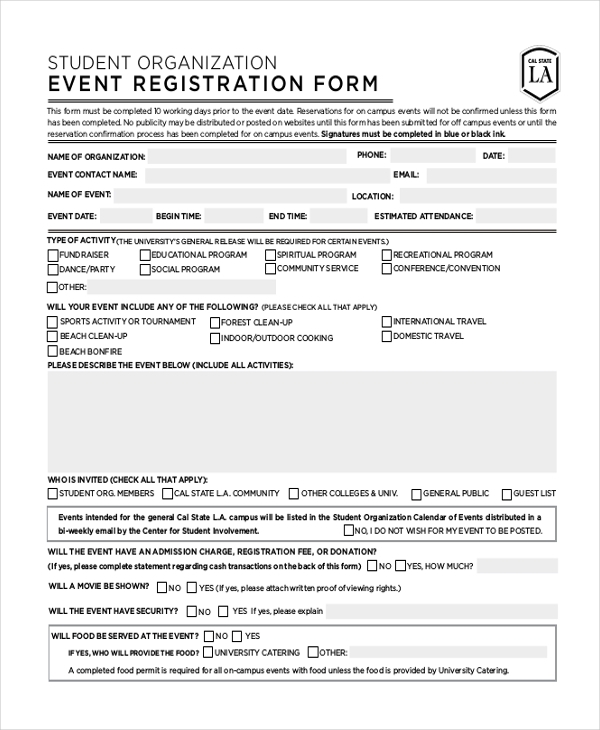 You can also see Event Registration Forms. 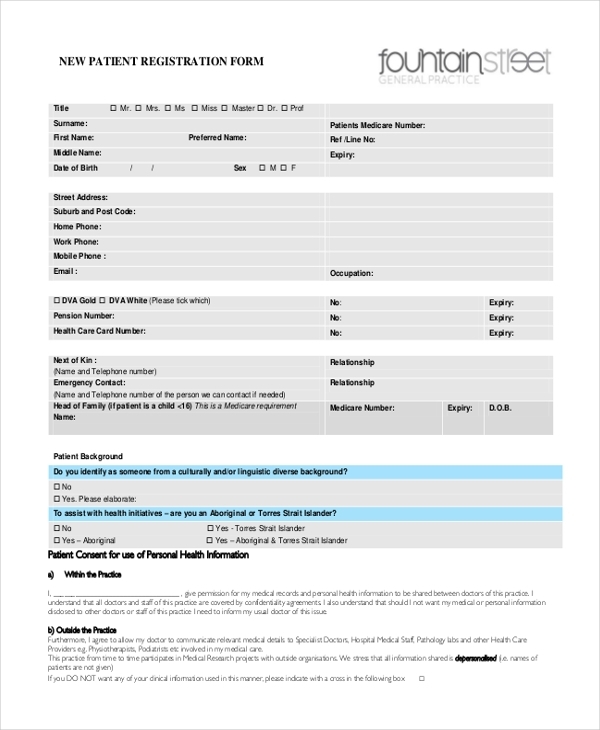 If you don’t keep patient’s record in a computerized database, you can use this registration form to collect the information of a new patient. You can share the registration information with the patient in question, so they know that they are registered. You can also see School Registration Forms. Register your car before you begin to drive it. This can help in so many ways, including tracking the vehicle just in case it gets lost. The form is free to download, and you don’t have to customize it as it is design and print ready. Some state will require you to register as an employer before you can employ anyone to work for you. 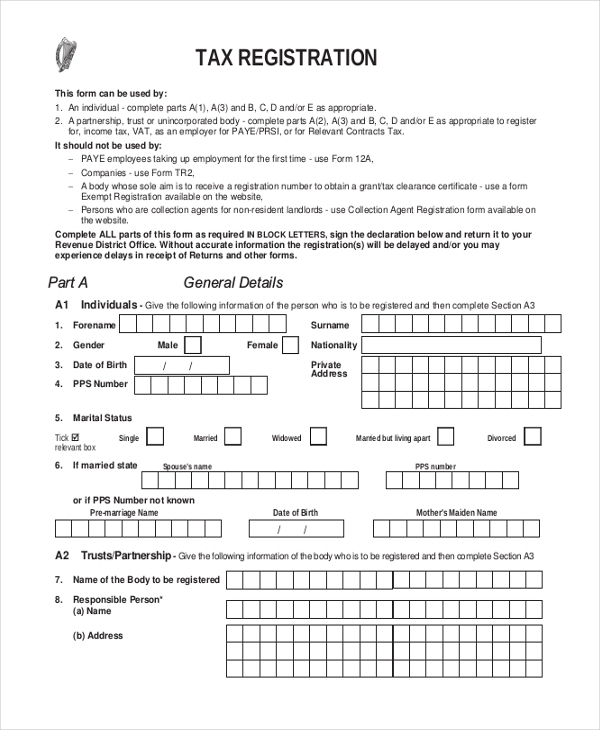 If this is the case with your state, you can download and use this sample form for registration. It is necessary to pay taxes. So as long as you are hired by a government body, you are required to submit your tax registration forms. 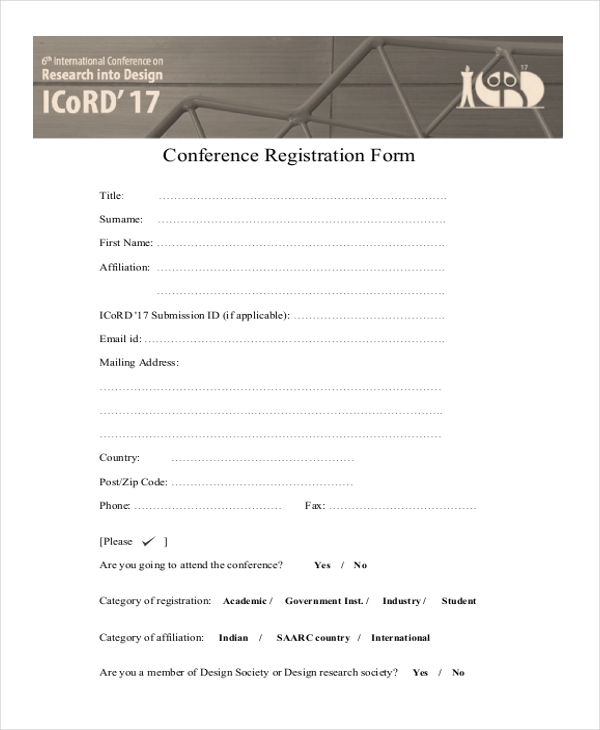 You can use the following sample form to submit your registration. If you want to take a course on campus, the first thing you do is to register for the studies. The best way to express your interest in a school is to use a registration to submit your application. Here is a suitable form to use. You may also see Student Registration Forms. Are you planning to host a conference only for registered members? Your best bet is to use a registration form to pick these details. You can do so using this sample registration. 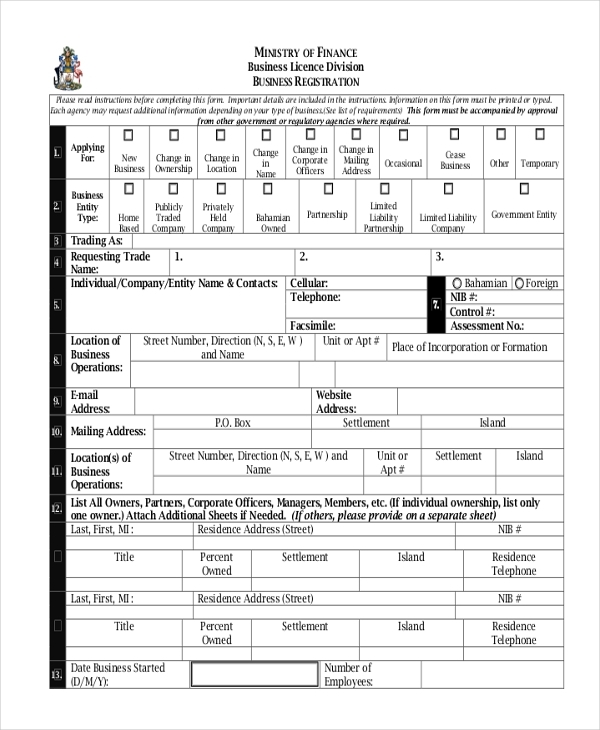 This form is designed to help business owners to register their businesses. You can download the file for free and then use it to fill out your business information and submit for registration thereafter. What are The Benefits of Registration Forms? They help you to collect the necessary information that you need, without having to depend on complicated or expensive registration software solutions. Of course, these are very simple pieces of PDF files so you don’t need any technical skills to use them. As long as you have some registration, information that you want to put down, these sample forms will be the best ones to use. Of course, you want something that makes your work easier, so this will definitely do. You may also see Hotel Registration Forms. 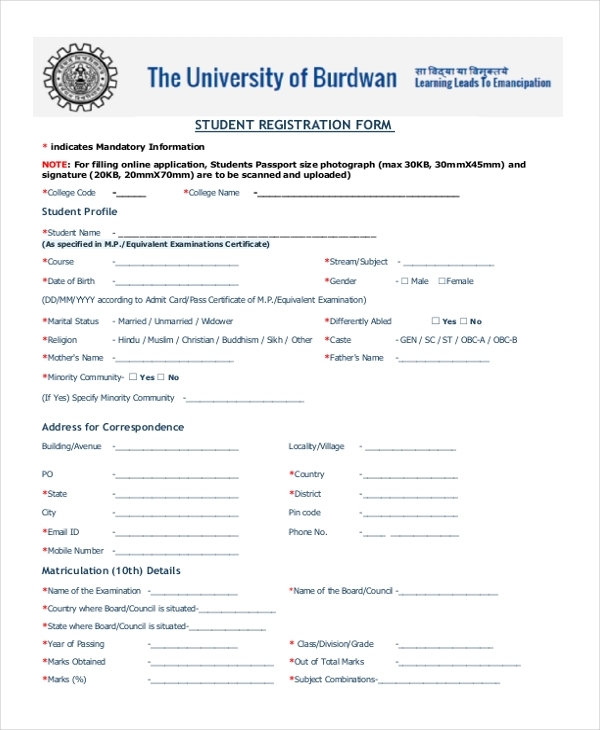 How to Use These Registration Forms? One of the most important things to remember is that although these forms do the same thing, they actually pick registration information from different fields. As such, it is important to do three things. First, determine what you want or whom you want to register. By doing that, you will be able to determine the best sample form to use. Secondly, pick the right sample template that you can use to collect the registration information. Lastly, collect the data that you need for the application. You can also see NGO Registration Forms. At the end of the day, free form designers are doing you the biggest favor of saving you time, energy, and money. Of course, the purpose of these forms is not to stop you from creating your own. Rather, they help you to save time. In other words, why spend a lot of time creating the forms from scratch when you can download them in less than 3 minutes.